Frank's father and his brother both worked at the Wood Chemical Plant for a long time. Mr. Bartley was foreman of the Chemical Works. 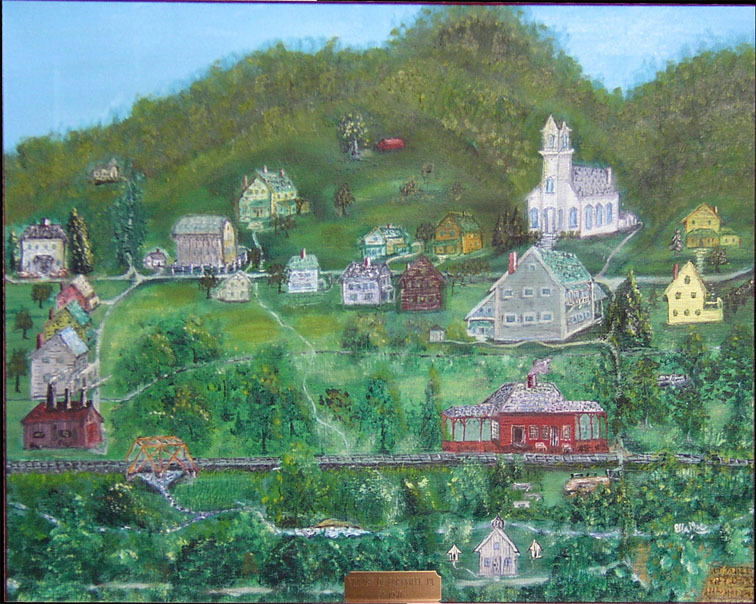 He had Grace, who married a (George) Dean around Smethport, and Hazel, who lived in Jamestown, for daughters and a son named Nevin. Frank remembers his father coming home from work at the Plant and he would be covered in black...which would be the coal that was produced at the Wood Chemical Plant. The Plant also made alcohol and acetate to sell. Wood would be cut and brought up in large wagons pulled by horses to be burned. After the wood burned for a while, water would then be sprayed on it to smolder the fire, therefore making the charcoal. Frank remembered a lot of tar being distibuted in the Plant. He also remembered a horse getting stuck in the tar, but it was saved. 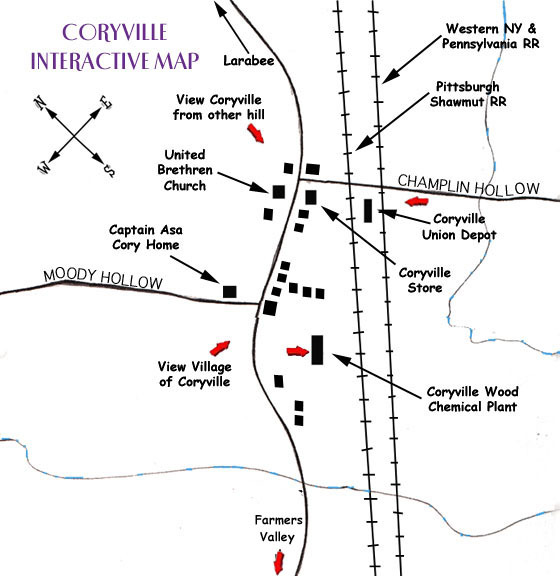 Later on, the Coryville Wood Chemical Plant became known as Coryville Wood Products.